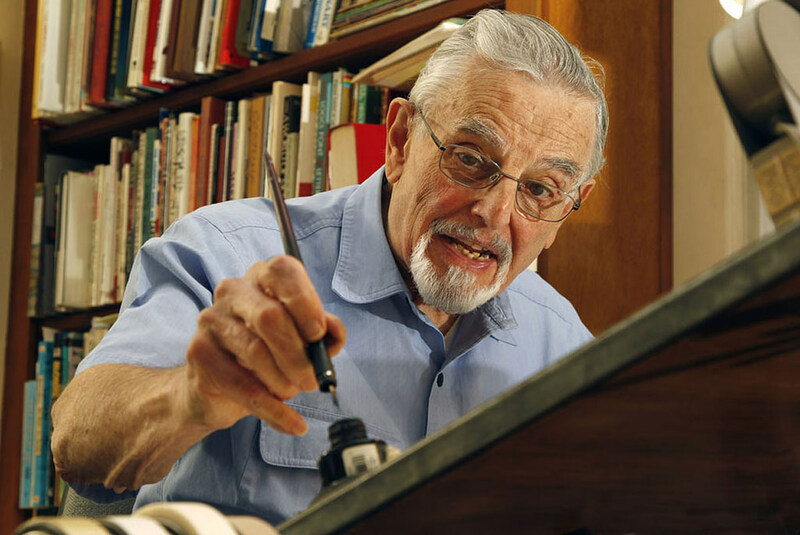 I had Hy as a teacher for my first year of the Joe Kubert School (circa 1986-87). Hy taught lettering; which in those days meant Ames guide, a B6 lettering nib and india ink. Hy was the kind of teacher you’d bring assignments to you’d been working on from other classes. His critiques had straightforward advice, with a little bit of biting wit thrown in for good measure. And if you paid attention and followed his advice, it made you a better artist. The class was INVALUABLE and had a real world payoff years later when I was doing the Flash Gordon comic strip. Hand lettered Flash Gordon Sunday page from November 23, 1997. 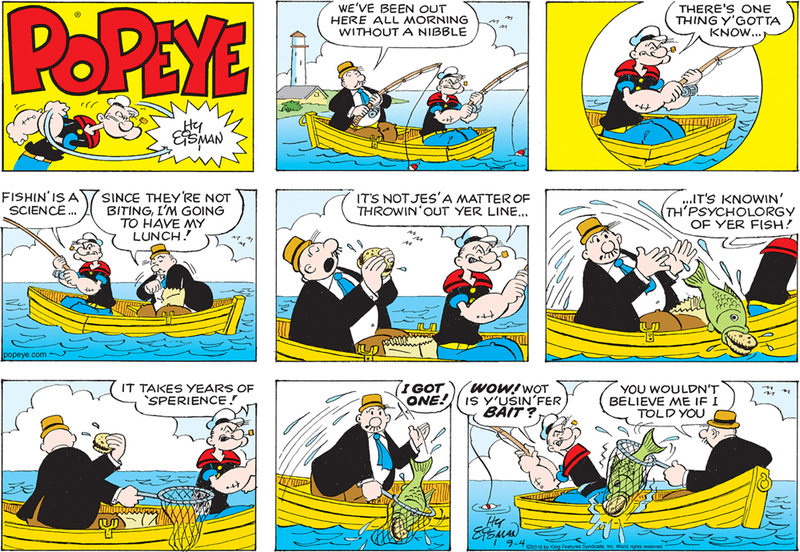 A National Cartoonists Society Award winning cartoonist, Hy has worked for many different publishers over the years (Charlton, Marvel and Harvey to name a few) and has also worked on such classic comic strip characters as the Katzenjammer Kids and Popeye. I point out his Syndicate work as I coincidentally get to work on Hy’s artwork as colorist. 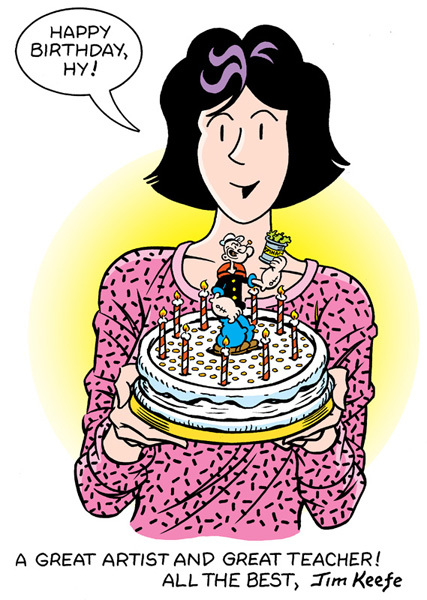 It’s been a privilege to be able to work on Hy’s comic strip work for all these years (Hy started on the Katzenjammer kids in 1986 – I’ve been colorist since 1989). 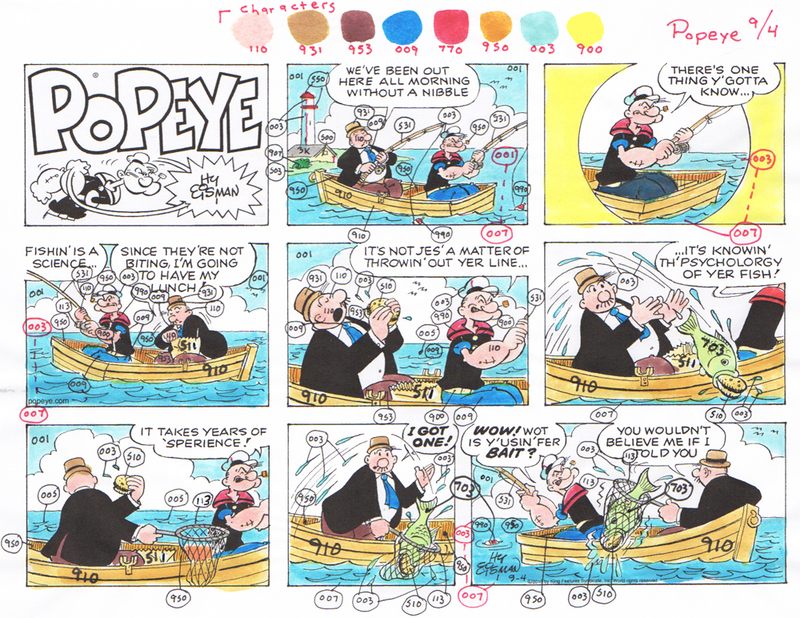 Color guide for September 4, 2016 Popeye strip. To wrap up, here’s some links from around the web spotlighting Hy. 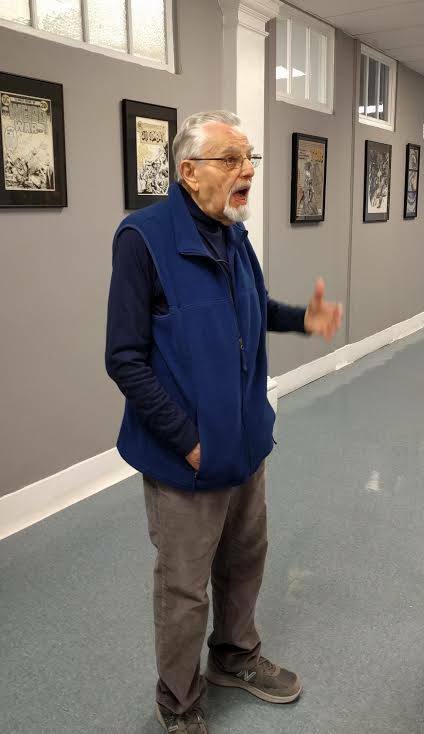 Filmed at the Kubert School in 2016. 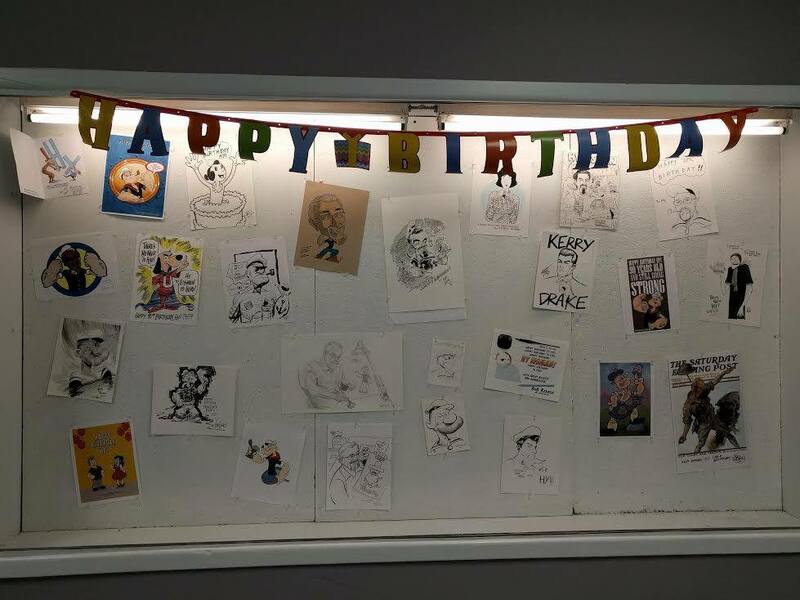 The preceding pic is for a wall of birthday greetings to be displayed at the Kubert School. It was hand lettered to show Hy I’m not slacking off after all these years. 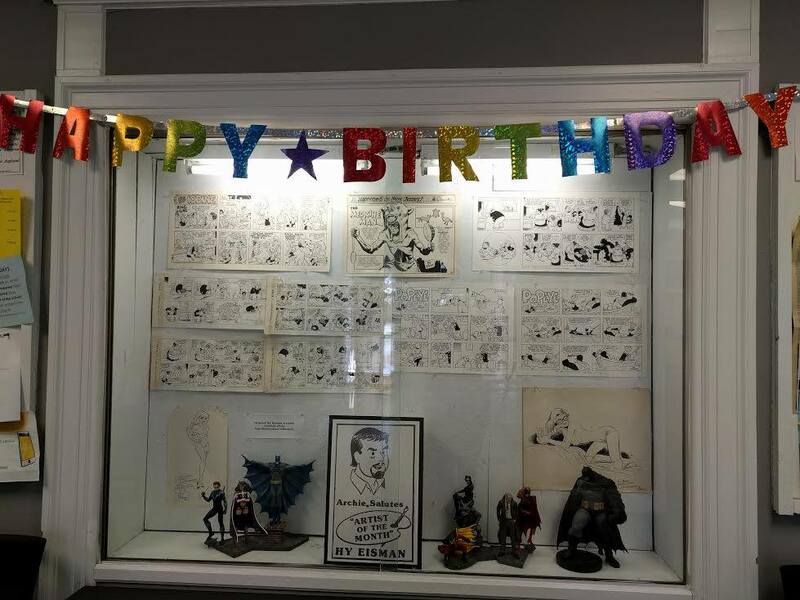 Update: Pictures from the Kubert School Facebook page. 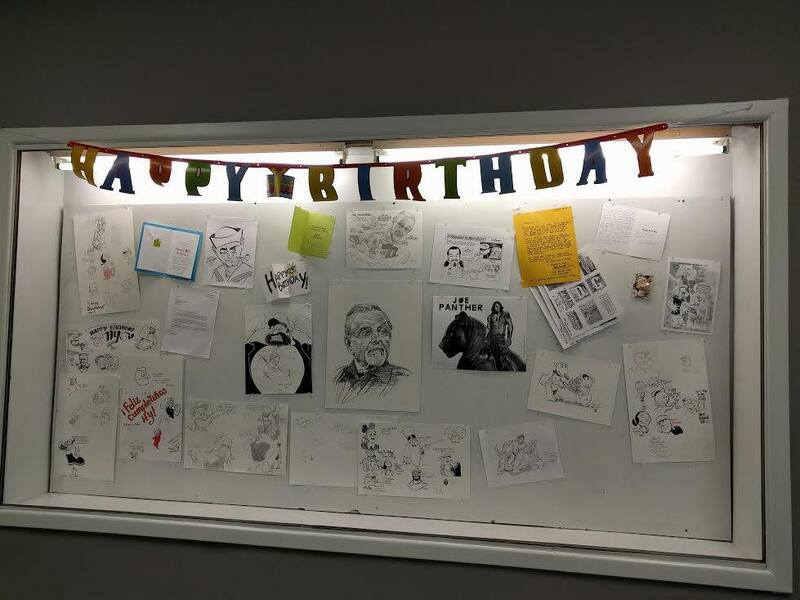 Display with illustrations wishing Hy a happy 90th. 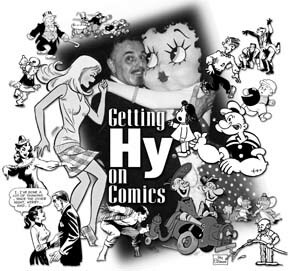 Examples of Hy’s work through the years. 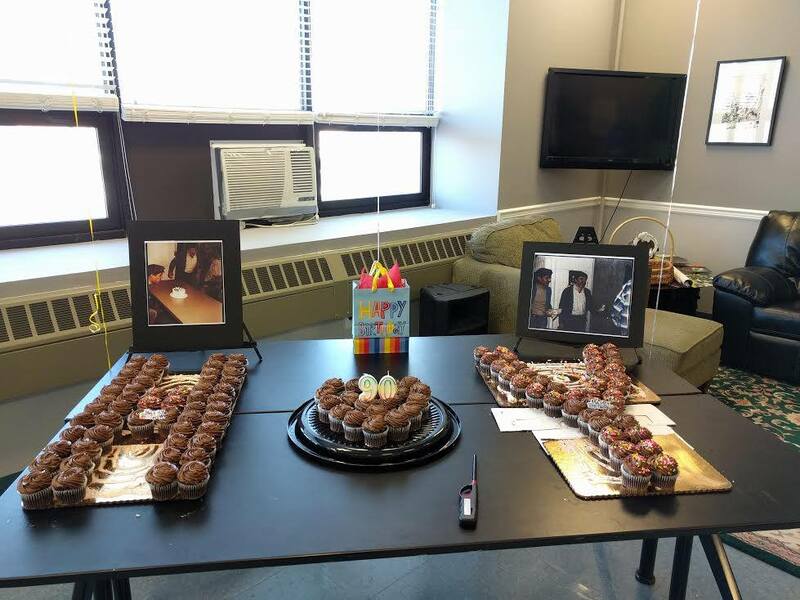 This entry was posted in Artist Spotlight, Hy Eisman and tagged Hy Eisman. Bookmark the permalink.